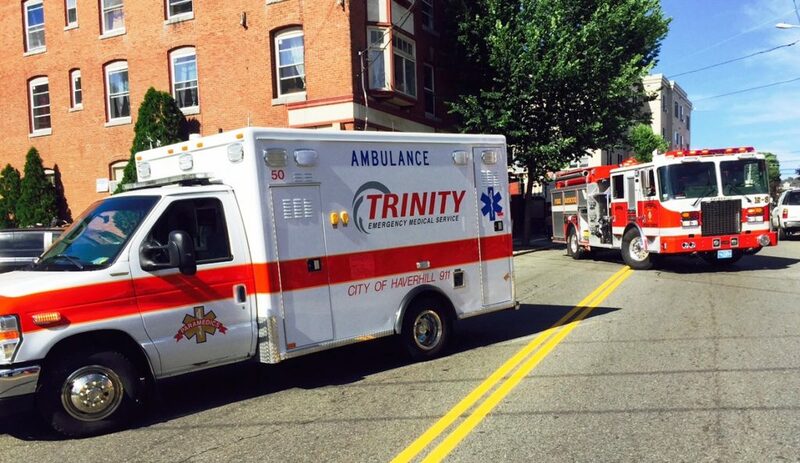 First responders in several Greater Lowell communities will have a new friend at lengthy and physically taxing incidents as Trinity EMS rolls out a new rehabilitation unit nicknamed “the water wagon” to help care for those who care for others. Trinity purchased the truck, which was built in 1997, from the American Red Cross in Maryland and drove it back to Greater Lowell where they spent about $75,000 refurbishing it to serve the needs of first responders at especially hot, cold and taxing incidents. “We gutted it, and tried to be mindful of what departments would want,” said Rick Barry, Trinity’s director of operations. The truck will now be available to first responders in Lowell, Chelmsford, Dracut and Dunstable, which contract with Trinity EMS for ambulance services. “It will be available for any protracted incident,” Barry said. The rehab unit is ready for action, and was already deployed once already when first responders in Lowell worked on a massive drill at Tsongas Arena recently. It joins Trinity’s existing fleet of about 40 ambulances and 40 other vehicles such as transport vans and support vehicles, according to Barry. The truck’s official name is Operations 5, but it’s already being referred to as “the water wagon,” Barry said. Barry said the truck will be stocked with water, snacks, misting fans and other amenities, as well as chargers for portable radios and phones, and built in radios so the truck can also be used as a command center at some scenes.